These guys are the pros! Prompt, professional and kept to their quote. "Under budget and over met my expectations" Highly recommend Proseal. Saved me the cost and nightmare of replacing the concrete. Phil has been amazing to work with! Went above and beyond. Very pleased with their service and professionalism. Made a bad situation (water in your basement) manageable. Very reliable and dependable. Got the leaks stopped. Our business, ProSeal Basement Systems was born after seeing the time, labor and expense that went into fixing a cracked foundation of a home owned by my brother. I could not shake the feeling that “there had be a better way.” After being forced to work with the flood damage restoration industry, I started to research permanent solutions to solve basement flooding. I was in search of a solution that would not require an annual visit from the restoration company. I met the founder of ProSeal Applications, Inc. and ended up purchasing his company. My further quest for more knowledge of the business and industry support led me to Basement Systems. 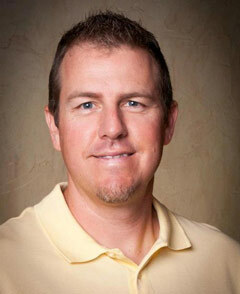 I am Dan Kindsfather, and I have a curiosity for learning more about the industry, home improvement and construction. I really appreciate all that this business has to offer in terms of being a leader in a growing industry. Our motto is: “To live and work by the Golden Rule…Treat Customers as we, ourselves, would like to be treated by others.” Our core values include: Quality, Honesty and Reliability. Our services include basement waterproofing, crawlspace insulation and repair, damp proofing and epoxy floors. We are the team to call as the leading basement waterproofing business in the Billings, MT area. We have a team of trained experts ready to get the job done. We will work with you to offer the best possible solutions, quickly, efficiently and at the right price! Our commitment is to our neighbors in the community. We are the trusted and reliable company with years of combined experience to help you solve your basement problems. We are here to help provide you with lasting results! In the community, we are affiliated with the Billings Chamber of Commerce, Big Sky PTA, YSA and Burlington LL. Our contractor organization affiliates include: State of Montana Licensed Contractors Association, Billings Assoc of Realtors. We proudly serve: Miles City, Livingston, Billings and surrounding areas. Let’s get started…call us today for a basement inspection!